Stephen and I have been chatting a lot about our training plans for the next year and beyond. Mine is pretty well set until the end of the year -- taking it easy, doing what's best for the baby, and just having fun moving for as long as I can. 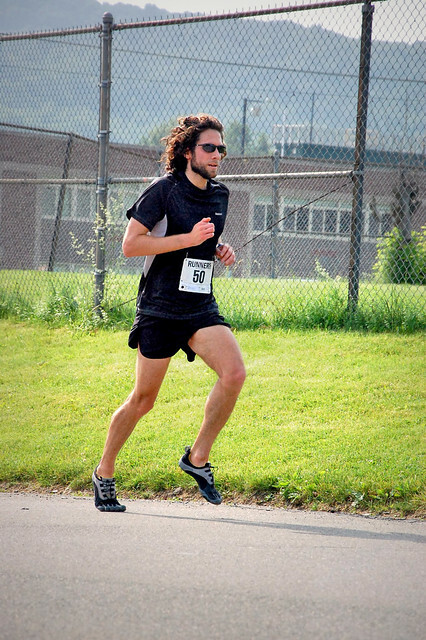 Stephen has chosen to focus on shorter races for the summer and half marathons for the fall -- building his speed and taking a break from high-mileage training. What we've both agreed on, for the next couple years, at least, is that we're taking a break from marathons. It's funny how the distance sucked us in. 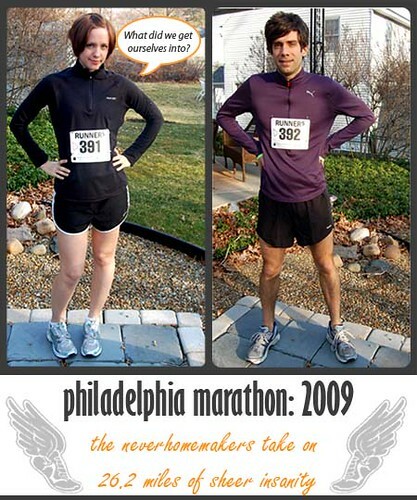 We each ran Philly in 2009 as our first full marathon. Before we knew it, we were hooked. Other races didn't seem to compare or feel as satisfying. Training at a lower intensity (mileage-wise) didn't feel like enough anymore. 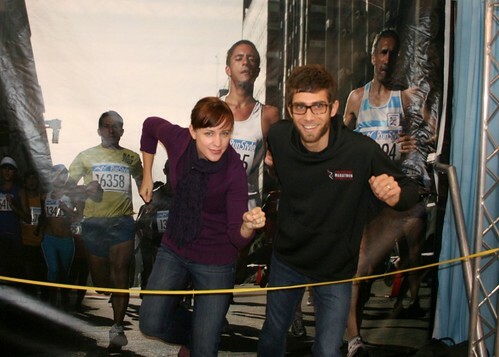 So this time last year, we signed on for two 2010 marathons. And we were diligent about our training from July through October. For me, the results were f.a.r from ideal. 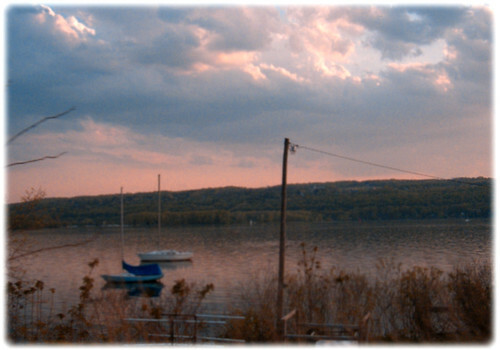 I DNFed at the Wineglass in October after 17 miles at near my target 3:50 finishing time pace. 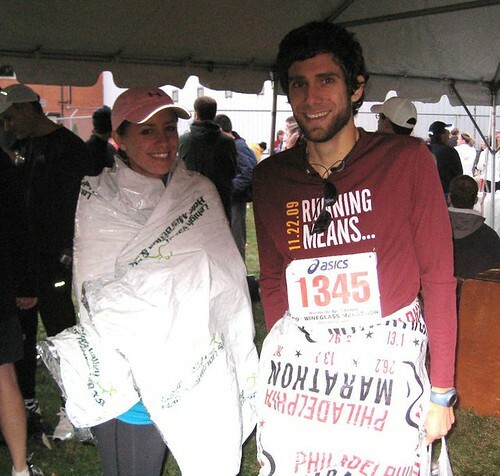 And my injury carried over, making me miss the 2010 Philadelphia Marathon in late November. I had done ALL the training. Even gotten in my first 50+ mile week. To say I was disappointed is an understatement. By the end of the year, though, I was still injured and frustrated. I enjoy and can handle the training, but running the actual RACE is another story entirely. It's unpredictable no matter how prepared I am. It's just not fun for me. Plus, the recovery time is llllllong. 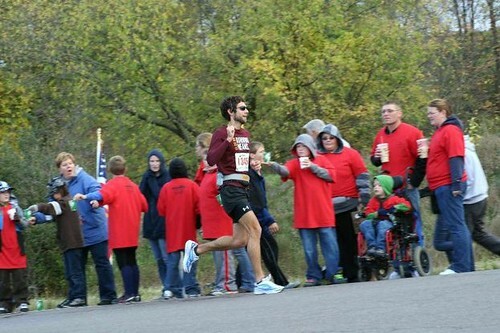 Stephen, on the other hand, ran a great effort at Wineglass -- earning his current PR of 2:55:48. But when he turned around and ran Philly a few months later, his performance wasn't exactly as he had hoped. He was burned out and disenchanted with racing 26.2. He had qualified for Boston this year, so after some time off in the winter . . . he started training again. But a stress fracture kept him off his feet for almost 11 weeks. And, as you suspect, he missed THE big marathon race of all races. Summer always seems to be the big planning time running-wise. It's the period when fall race registration begins. It's when training must begin to ensure at least some success. So, naturally, our goals have been on our minds. But this year, it's more complicated. Our time won't be entirely our own. And we definitely have some other priorities we need to put before our racing schedule. My after-baby plan? Well . . . the mere idea of training for a marathon while caring for a newborn seems like way too much for me to handle. Especially when I don't think the distance is for me -- or ever will be. Plus, I know it will take some time to get back into running shape, period. I'm first looking to establish a regular running schedule that works with our new lives. I have no idea if squeezing it in will be difficult or easy. Or maybe a mix of both. From there, what I DO know is that I love running 15Ks and half marathons versus shorter distances because I get a great sense of accomplishment and don't have to sprint from the minute the gun goes off. My long-range goal is to PR in the half marathon distance, ideally with a time around 1:40:00. My current PR is right around 1:46, so I know it will take a lot of work to shave off those minutes. But I don't see myself running another full marathon until I reach this half marathon goal. Stephen is shooting to PR in the 5K this summer. He'd like to finish in the low 16s . . . and even possibly in the high 15s. He's anxious to find the right race to try this feat. Otherwise, he would also like to focus on PRing in all distances up to the half marathon. To accomplish his goal, he's looking for less mileage-heavy weeks and more time on the track. Smarter, better quality miles versus quantity, junk time on his feet. No matter what happens, we're both committed to continuing our running and learning from both our good and bad experiences. It's almost like we have this relationship with running . . . and like with all relationships, it's constantly shifting and evolving. What remains -- stays constant -- is that commitment, no matter where we shift/move. What are your current fitness goals? Have you had any major revelations or life changes recently that has made you alter them? We'd love to hear your thoughts!